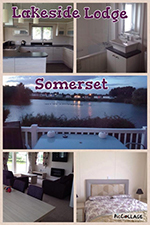 Both accommodations are located on the popular family site (Haven) with a level 5 minute walk to the High Street, Promenade and the Beach, with a fishing lake on-site. Privately owned, the first one (Lakeside) has been specially adapted and is wheelchair accessable. 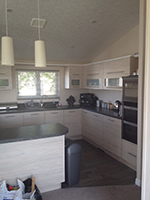 Suitable for seven people, the living area twin beds can be used and there are two single beds in the second bedroom, one of which is a HI-LO Electric. The main bedroom has a King Size bed.Can not be used by someone who is confined to a wheelchair. 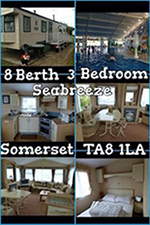 The second privately owned caravan (Sea Breeze) has three bedrooms and is suitable for eight people. 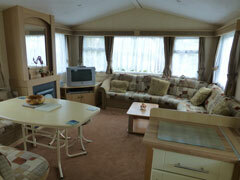 There is a double bed in the main bedroom and a pullout spring loaded double bed in the lounge. There are two single beds in each of the second and third bedrooms. 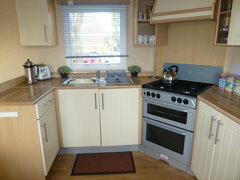 With heating in both caravans.